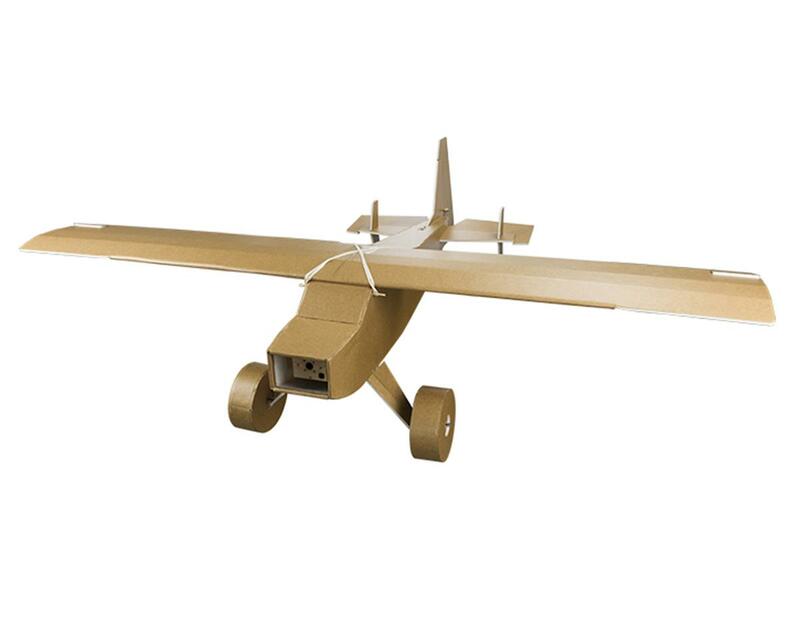 Say hello to Peter's 3rd Flite Test design, the FT Bushwacker! This rugged little plane is based off of multiple popular full scale bush planes such as the Highlander! The FT Bushwacker is an aerobatic super short take off/landing aircraft. For extreme 3D aerobatic performance, use the large control surfaces. For extreme super STOL performance, split each aileron in half to create flaps. This plane is designed for intermediate to advanced pilots and is capable of most aerobatic maneuvers with the Power Pack C.
Oh! My! Gosh! This plane is the epitome of fun! The build was not bad, mine arrived with a little damage to the wing panel but it was on the inside and didn't look like it would effect strength or flight characteristics so i just threw it together. It fly's great it does anything you can think of acrobatically I did tricks I wouldn't dare do with my other planes just really comfortable to fly, very natural. I had to reinforce my wing where the rubber bands go because the trailing edge buckled and raised the rear of the wing causing the angle of incidence to go negative and made my maiden flight very interesting but when I got back home I glued a couple pieces of paint stick across from the trailing edge to the closest bend and took it back out and that did the trick. stalls are really mild actually put mine into a stall and kept pumping the elevator and kept it in a level stall all the way to the ground and folded the landing gear OOPS! lol but easy fix now I'm just waiting for the paint to dry great job guy's.